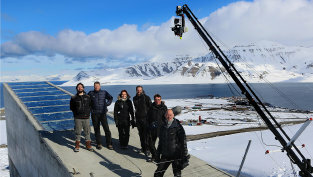 Prosit Production shooting The Arctic Philharmonic Orchestra at Longyearbyen, Svalbard, mai 2013. A promo product aimed at the international audience. Did some epic scenes at Spitsbergen in the end of May.